Tax audit services market includes tax audits which are conducted to assess the accuracy of the tax returns filed by a company and are therefore used to determine the amount of any over or under assessment of tax liability towards the tax authorities. 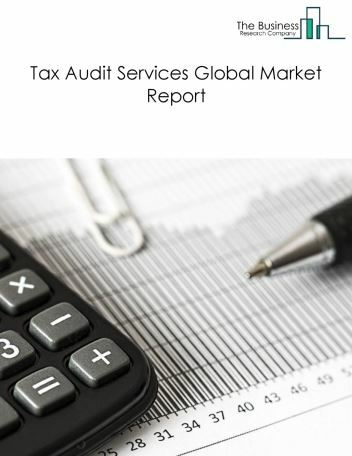 The global tax audit services market was valued at $30.2 billion in 2017. North America was the largest geographic region accounting for $11.1 billion or 36.7% of the global market. The USA was the largest country accounting for $8.9 billion or 29.4% of the global tax audit services market. Digitalization of tax offices in most developed and developing countries is evolving the role of tax auditors. They are increasingly providing advisory and taxation guidance as well as traditional filing and lodging services which have become less important with the growth of e-filings. For instance, the Australian Tax Office will now allow e-tax. This will reduce the manual processing of data and make the tax return process easier allowing tax auditors to focus on high end tasks. The companies covered are PwC, Deloitte, Ernst & Young, KPMG, and BDO USA.